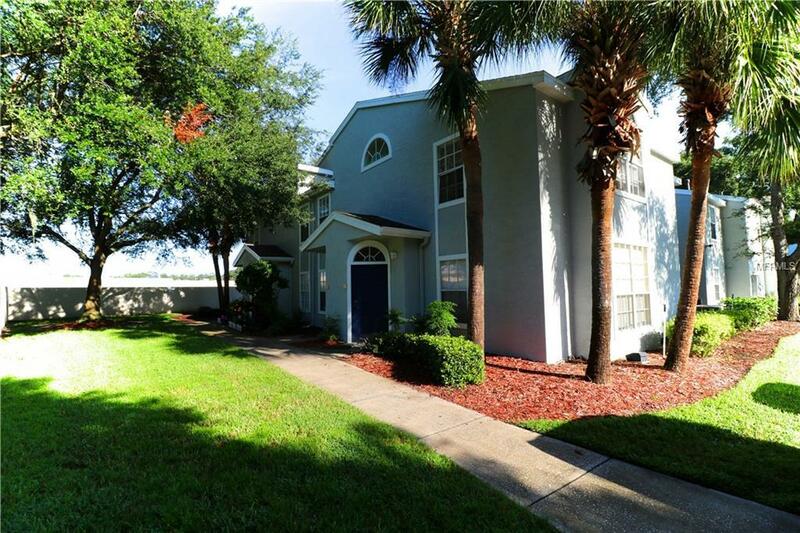 This 3 Bedrooms 2 Full bath well maintained desirable ground floor unit is located in the gated community of Columbia Arms. This corner unit is specious and allows for plenty of natural light. This condo has wall to wall beautiful tile flooring. Kitchen has upgraded cabinets, all appliances are almost new, kitchen features gas cooking range, refrigerator, microwave, sink garbage disposal and dishwasher. Washer and dryer is also available for your convenience (tenant will be responsible for maintenance) This gated community offers club house, fitness center, large swimming pool, tennis court, basketball court and playing ground. You will enjoy and love to live here because of easy commute to Disney and all the attractions as well as the major roads to get you where you need to be. Conveniently located within minutes to restaurants, banks, retail stores and malls, mass transit, hospitals, civic center, Historic Downtown Kissimmee, Sun Rail Station, Lake Tohopekaliga lakefront recreational park and marina, major highways, East Coast Beaches, Orlando International Airport and all of Central Florida's Theme Parks and entertainment complexes. This condo is unfurnished, the furniture and decoration showing in pictures are belong to the previous tenant. No pets allowed except service animal with proof.